Mexico's anti-establishment presidential candidate, Andrés Manuel López Obrador, faced opposition from the mainstream media. And he spent 13 percent less on advertising than his opponents. 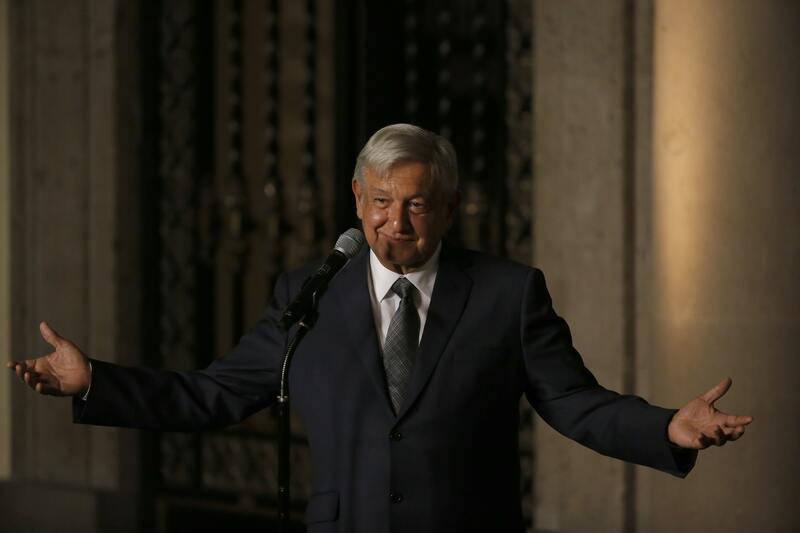 Yet the man commonly known by his initials as "AMLO" went on to win the Mexican presidency in a landslide with over 53 percent of the vote in a four-way race in July. Our lab has been analyzing these social media activities to understand how they've worked to threaten - and topple - establishment candidates. By analyzing more than 6 million posts from Reddit, Facebook and Twitter, we identified three main online strategies: using activist slang, attempting to "go viral" and providing historical context. Some of these strategies might simply be online adaptations of long-standing strategies used in traditional offline campaigning. But others seem to be new ways of connecting and driving people to the polls. Our lab was interested in understanding the dynamics behind these online activists in greater detail, especially as some had crossed over from being merely supporters - even anonymous ones - not formally affiliated with campaigns, to being officially incorporated in campaign teams. Some political activists pointedly used slang in their online conversations, creating a dynamic that elevated their candidate as an opponent of the status quo. Trump backers, for instance, called themselves "Deplorables," supporting "the God Emperor" Trump against "Killary" Clinton. AMLO backers called themselves "AMLOVERS" or "Chairos," and had nicknames for his opponents, such as calling the other presidential candidate, Ricardo Anaya, "Ricky Riquin Canayin" - Spanish for "The Despicable Richy Rich." Some political activists worked hard to identify the material that was most likely to attract wide attention online and get media coverage. Trump backers, for instance, organized on the Discord chat service and Reddit forums to see which variations of edited images of Hillary Clinton were most likely to get shared and go viral. They became so good at getting attention for their posts that Reddit actually changed its algorithm to stop Trump backers from filling up the site's front page with pro-Trump propaganda. Pro-AMLO activists did even more, creating a manual that explained Mexico's current economics and how the proposals of their candidate would, in their view, transform and improve Mexico's economy. As the U.S. midterm elections approach, it's worth paying attention to whether - and in what races - these methods reappear; and even how people might use them to engage in fruitful political activism that brings the changes they want to see. You can read more about our research in our new ICWSM paper.